After a long stop from writing on the blog, due to my work, here we are again! 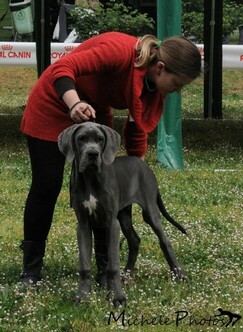 The puppies are 7 months old and they are growing fast. 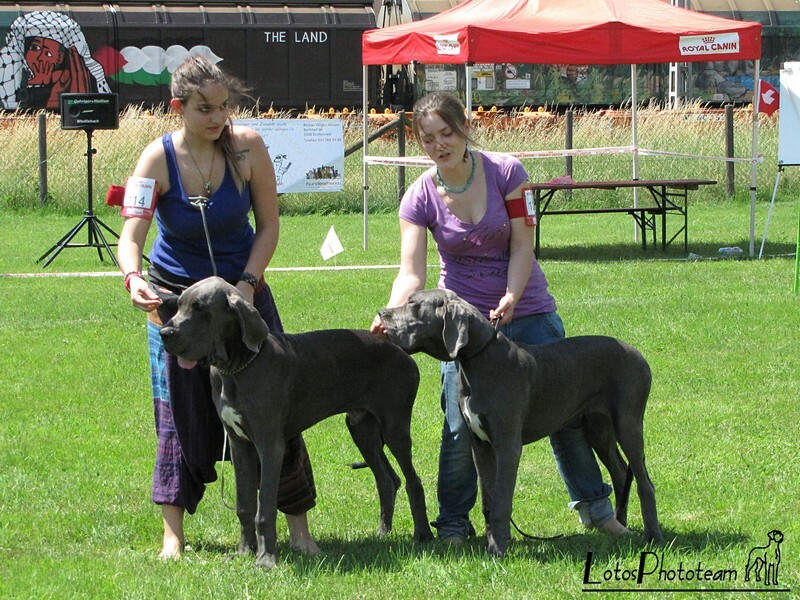 Some of them have been at the dog shows, but they need more time to mature. 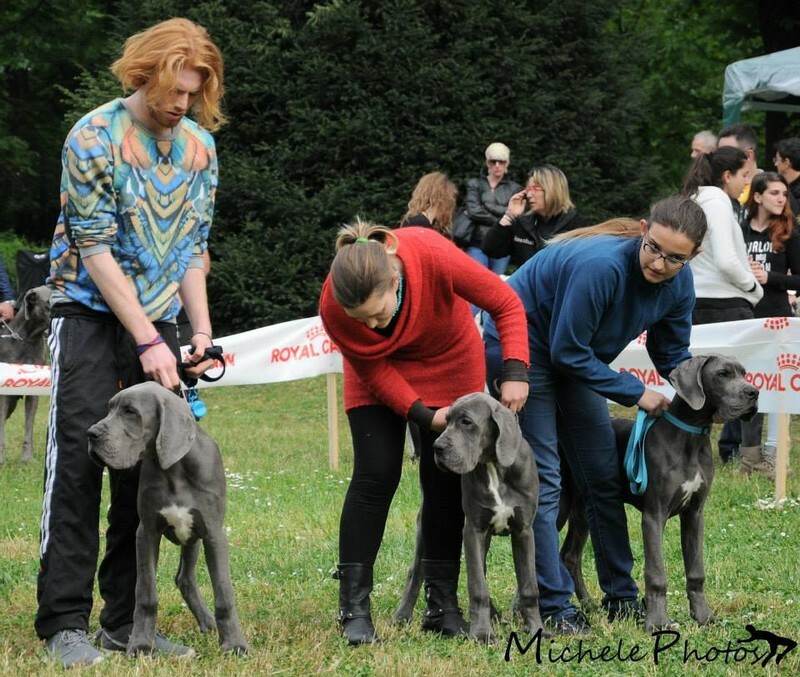 On April 26 Paddington, Pink Floyd e Pringle wento to the Great Dane Interclub Championship in baby class with good results (you cen read them on the Results page). 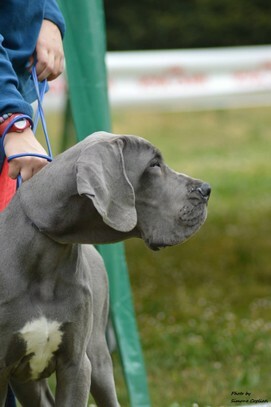 Despite the very bad weather forecasts we have been lucky abd it didn't rain, so our Lotosdanes group have had a very good day spent all together (not with me because I was there as judge so I couldn't "socialize" with the exhibitors). I want to thank Ghrerado and Elena (Paddington), Lorenzo and all his beautiful family, above all his father who after a asleep night has driven many hours to be with us (Pink Floyd), Michela e Corradino, "hystorical" friends who have helped the newcomers, Ilaria (Pringle) who brought us very good food and Erica (Pixel), who as usual has coordinate all. 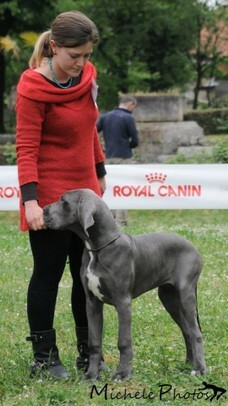 Congratulations to Pringle for her title of IBaby Interclub Champion! 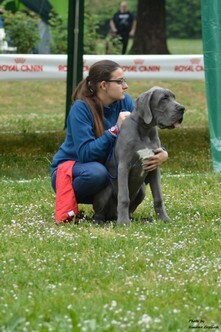 On June 7 we have gone abroad and we went to Switzerland to the Swiss Club Championship with Pixel and Pringle, and we had good result here too. Another time congratulations to Pringle who won the title of Club Jungstensiegerin (Juniores Club Champion)! 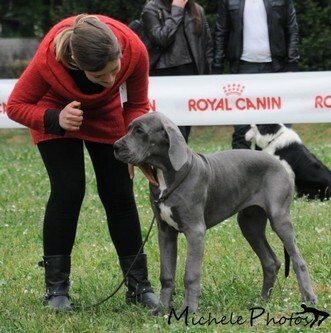 Within three days Pascal will make his debut to the Special Breed SDhow in Turin: however it will go it will be a success! And now the BIG NEWS: my beloved daughter Erica deserves a gratification for all the work she does with the danes, completely on her charge both for the daily cares and for the shows. 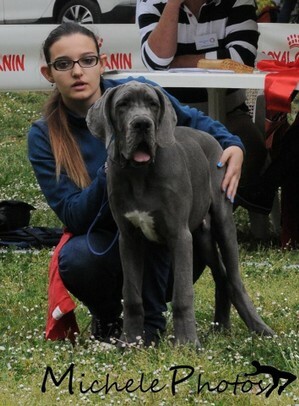 For this reason from June 23 she is officially associated in the kennel, so the Lotosdanes affix is owned by me and her. This is the first step for the "handover" for the future. See you next week with the new show results!